Ameer is a don in North Chennai who has the area in his control with the help of his aides Samuthirakani, Kishore, Pawan Kumar and Sai Dheena. Dhanush who dreams to become a carrom player is encouraged by Ameer. Meanwhile, Dhanush always gets into fight with Aishwarya Rajesh who resides in the locality. As days pass by they both become lovers. A project which aims at the expansion of the roads in the area is planned to be implemented but considering that the people will be affected by this Ameer stands against this project. What happens next and what role Dhanush has in this mix up forms the rest. 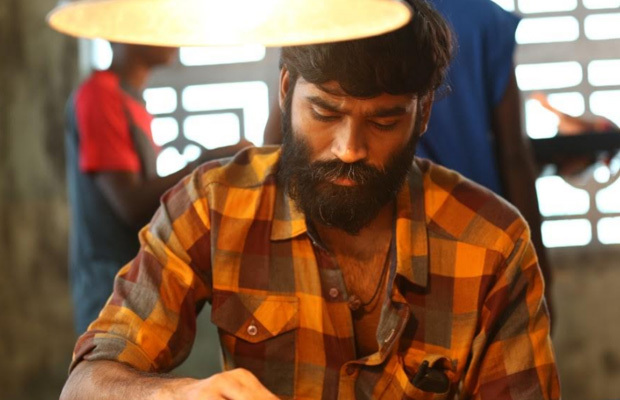 Dhanush has once again excelled in this role and the character portrayal.Ameer has a strong role to play in the movie and has carried the weight of the character with might. Aishwarya Rajesh has lived as a North Chennai girl and is lively in her character. Andrea has a motive in her role and has executed it to absolute perfection. Samuthirakani, kishore, Pawan and entire cast too have done justice to their roles. Director Vetrimaaran who is known for his close to realistic type of filmmaking has once again done his magic in Vada Chennai. A strong foundation too has been laid for the next part.